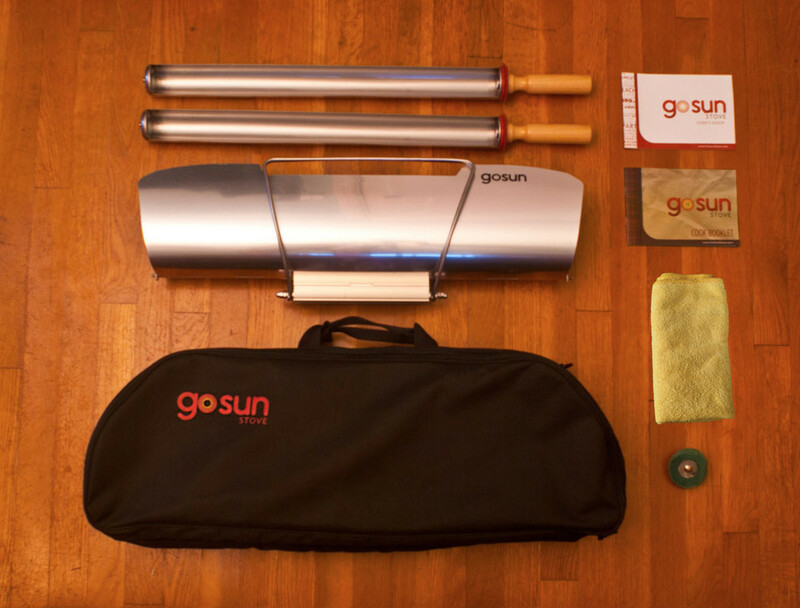 The GoSun Sport Pro Pack contains a GoSun Sport and everything you need to make full use of it, including Padded Carrying Case for secure travels, an extra Cooking Tray for prepping your next dish, and a Microfiber Cleaning Towel, perfect for cleaning the tube and reflectors without scratching. With the ability to cook a meal in 20 minutes, reaching temperatures over 550•F / 290•C, and finish a meal under cloudy skies, the GoSun Sport is the next evolution in fuel free cooking. How it works: The Sport•s compound parabolic reflectors and tubular design converts nearly 80% of all sunlight entering it•s refectories into useable heat. 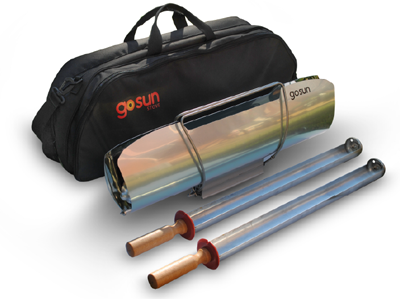 The standard package includes a durable borosilicate, evacuated glass tube cooking chamber, two foldable parabolic reflectors that fold to protect the tube like a clamshell, a stainless steel cooking tray, a rugged scrubby cleaning tool that attaches onto the tray's end and stainless steel carrying handles. ••Free Spice Kit: This expertly crafted 5 spice kit is a fitting compliment to any meal. Crafted in collaboration with Cincinnati spice master, Colonel De, these savory, sweet, and exotic flavors are durably packed to go wherever the road or trail takes you. • Fast: Cooks a meal in as little as 20 minutes, reaching temperatures above 550•F/ 290•C. 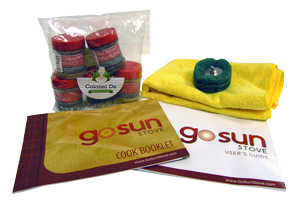 • Cooks When Cloudy: You don't have to see the Sun to solar cook! The GoSun is so effective almost no day is off limits! • Portable: Deploys in seconds and collapses into a durable package. 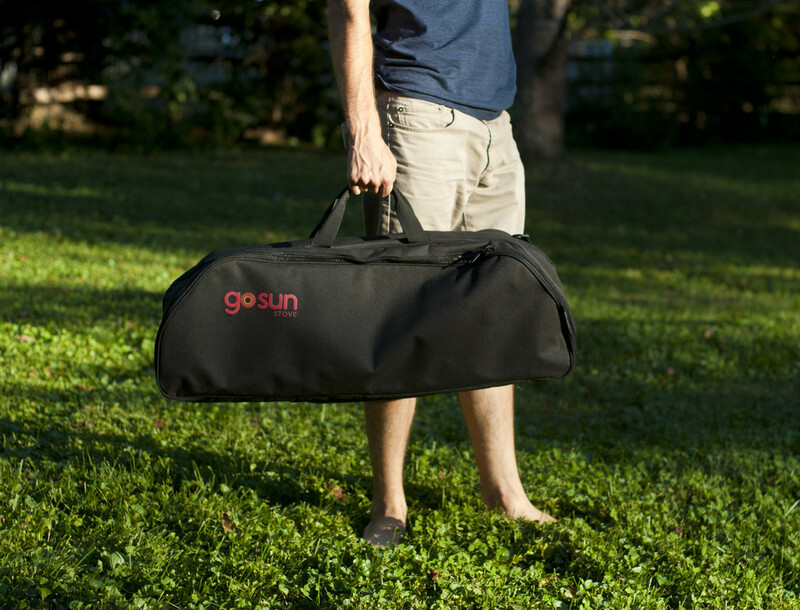 GoSun anywhere! • Fuel-Free: No mess. No flames. No cost. Always prepared for delicious! Versatile: Steam, bake, fry, roast and boil, anything is possible inside the tube. • Two Year Limited Warranty: On the evacuated tubes. The tubes are durable, made of borosilicate glass (like Pyrex•).